Christopher Kuhn surveys his first print. 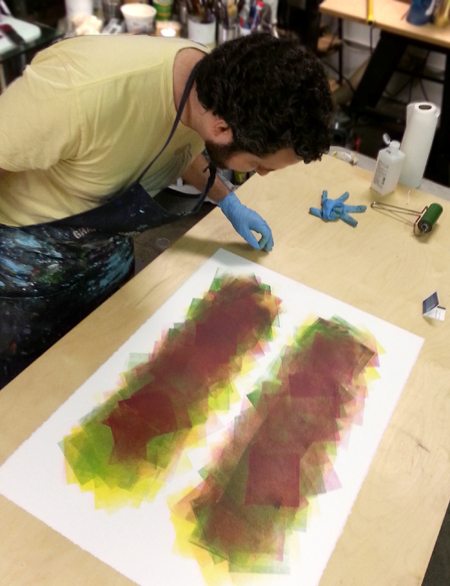 Christopher Kuhn's second "brayer print." Christopher Kuhn surveys his work. 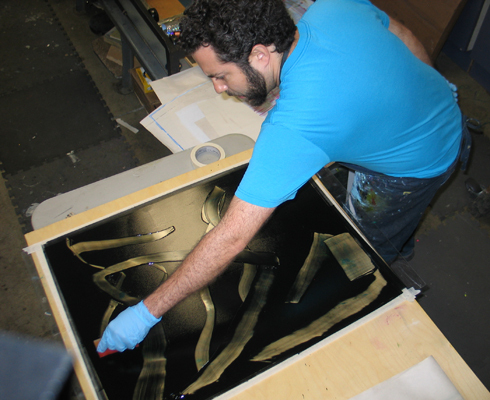 Christopher Kuhn cuts a print for counter proofing. 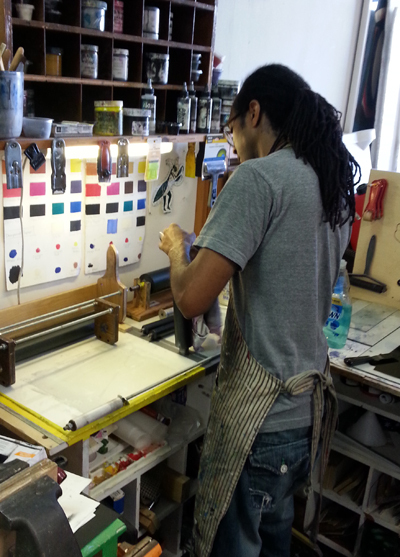 Christopher Kuhn working an inked plate. 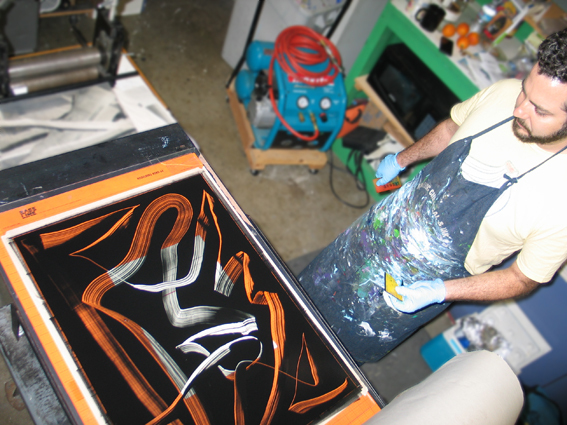 Christopher Kuhn subtracts ink from a double layered plate. Blue under a white overlay. Intern Brian Fort at the ink station. 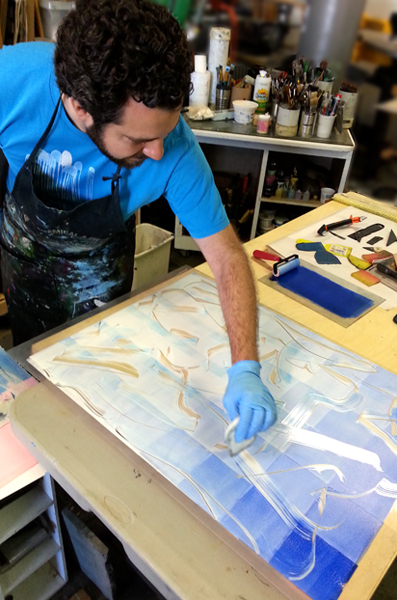 Artist Christopher Kuhn worked around the clock this past weekend to produce a series of wonderful monotype prints. Chris drove out on Friday to work with Todd. 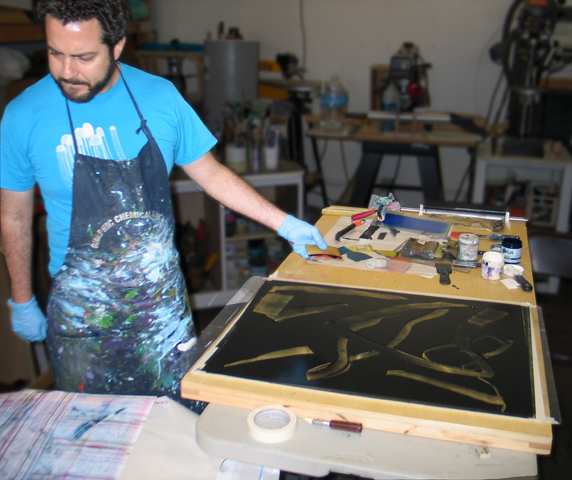 He began by adding inks via a brayer to the acrylic glass then transferring the ink onto 30″x 22″ sheets of BFK Rives. 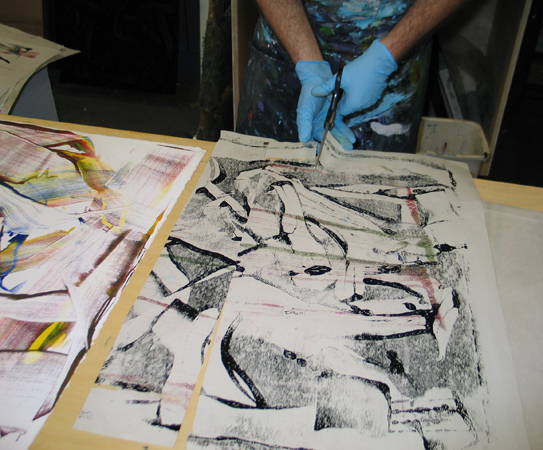 Chris made a couple of “brayer” prints before getting his mojo then really taking off by layering different subtractive and additive monotype plates. Chris was putting so much ink onto the plates that Todd had to place newsprint over them before printing to extract some of the excess ink. Later they used these newsprint ink blots to counter proof onto prints that needed more color or imagery. If you are interested in Christopher’s prints you can contact him directly for prices through his website. Press Works is not representing this suite of prints but we are more than happy to include them on our site for viewing. 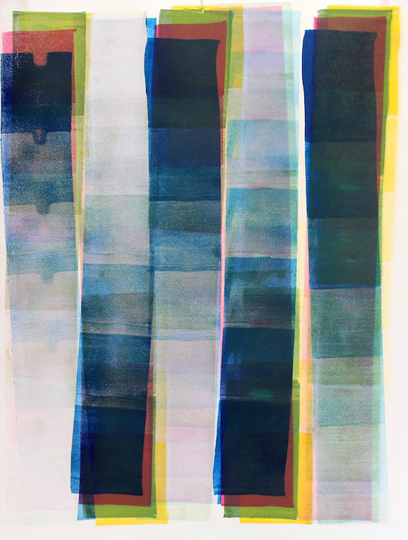 Posted in: Christopher Kuhn, studio visits.